Amanda Vandervort is known in the soccer world as "Vandey." She is a sports-executive-turned-baker, and her custom-designed cakes have been featured at events, weddings, birthdays and corporate outings. Amanda started baking cakes in 2014 and enrolled in a fondant decorating class in New York City. She loved it! Since then, she's been baking and decorating cakes for all kinds of special moments. Amanda loves making cakes that look like other things, tell a story, or hit just the right note of celebration. She specializes in creating unique designs for sporting events. No challenge, design, or flavor is too difficult! ​All cakes are made fresh using the finest ingredients, including butter and cream from quality local producers, pure vanilla, and fresh produce from New York markets. You can learn more about Amanda's professional career at AmandaVandervort.com. For Amanda Vandervort, there’s a clear connection between two of the biggest passions in her life — working at Major League Soccer and baking cakes. “I like the ephemeral nature of cake; it reminds me a little bit of social media in that you can post a tweet, it’s out there, and then it’s gone. I love that I can create something that can bring people joy and happiness, and then it’s gone,” said Vandervort, who is MLS’s vice president of fan engagement. 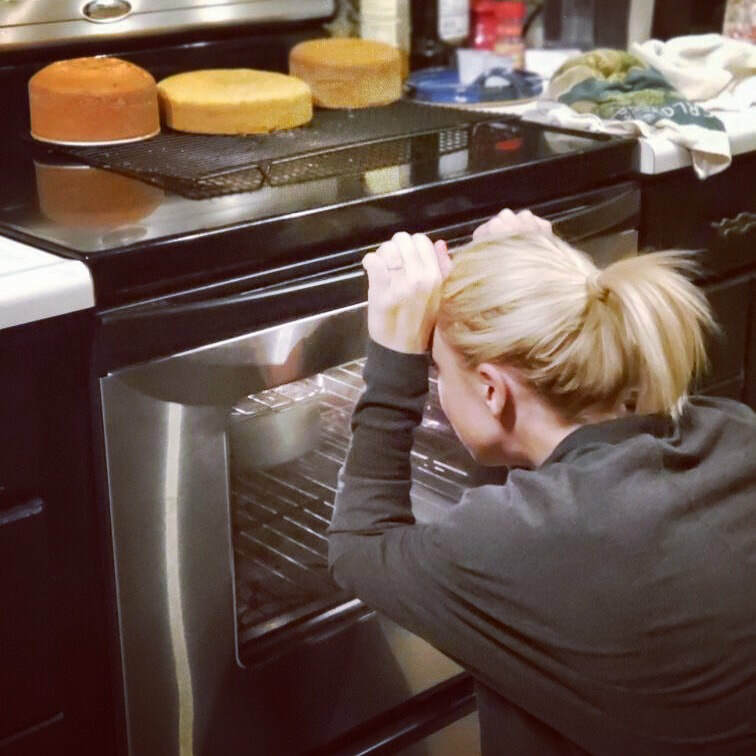 Vandervort, who rarely ate dessert and was not a baker, discovered her love of cake making about four years ago, when a friend invited her over for dinner and asked her to make something for dessert. She thought she would challenge herself by baking an almond cake and topping it with decorations made with marzipan. Vandervort enjoyed the decorating experience so much that she later enrolled in a six-hour cake class where she learned to make and roll edible icing, known as fondant. Almost immediately after, she cashed in wedding gift cards to outfit her kitchen with baking supplies. Since then, she has never made the same cake twice, producing dozens out of her home kitchen in Brooklyn. Would you like a Vandeycake for your next sports celebration, birthday, wedding or corporate event? ​Just fill out the form below and Amanda will get right back to you!